Best Nandos in London, I always prefer the Nandos restaurant in Reading, never found a better one in London except this one in Bayswater. Everything was almost perfect. 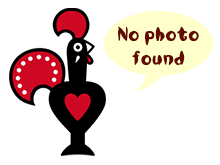 Staff are very Friendly especially 'Alfredo', we had problem with our order but he changed it and got us everything we needed and helped us with the nandos app and taught us how to use it. I recommend this branch for delivery also.